Last night I was dancin’ In the dark with my favorite rocker. At 8pm sharp the lights went down. 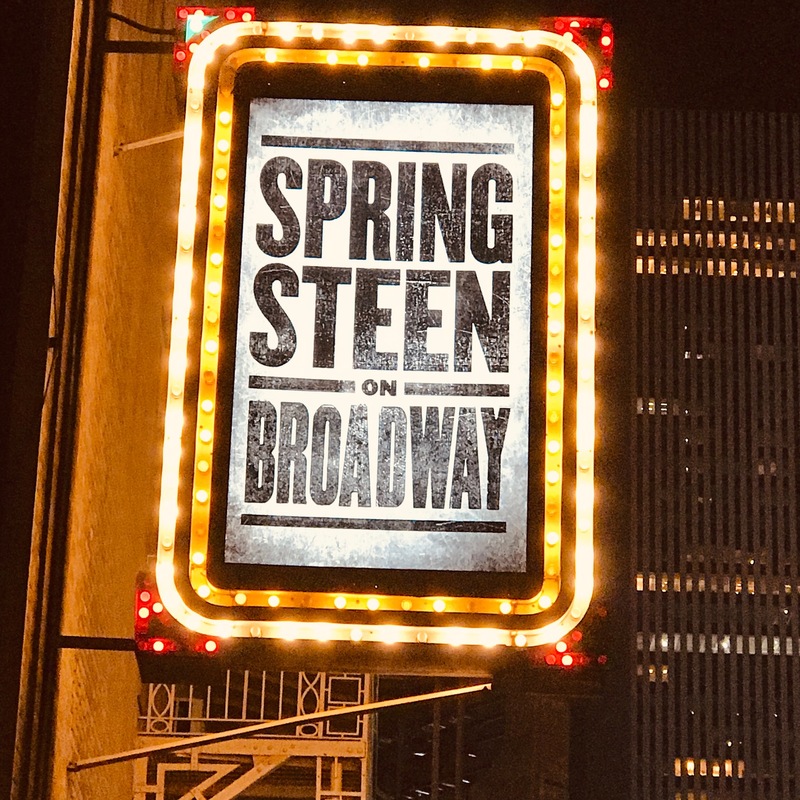 Springsteen did a slow roll onto center stage, his guitar draped over his shoulder, the prerequisite black T and jeans, his guns still looking fine…he exudes a blue collar sexual aura. The next 2 1/2 hours were filled with laughter, pathos, sincerity, modesty and amazing vocals. I felt privileged to be part of his journey. He touched on family, politics, friends loss along the way like the Big Man, Clarence Clemens and his father who had a huge impact on his life. I did not want the evening to end. 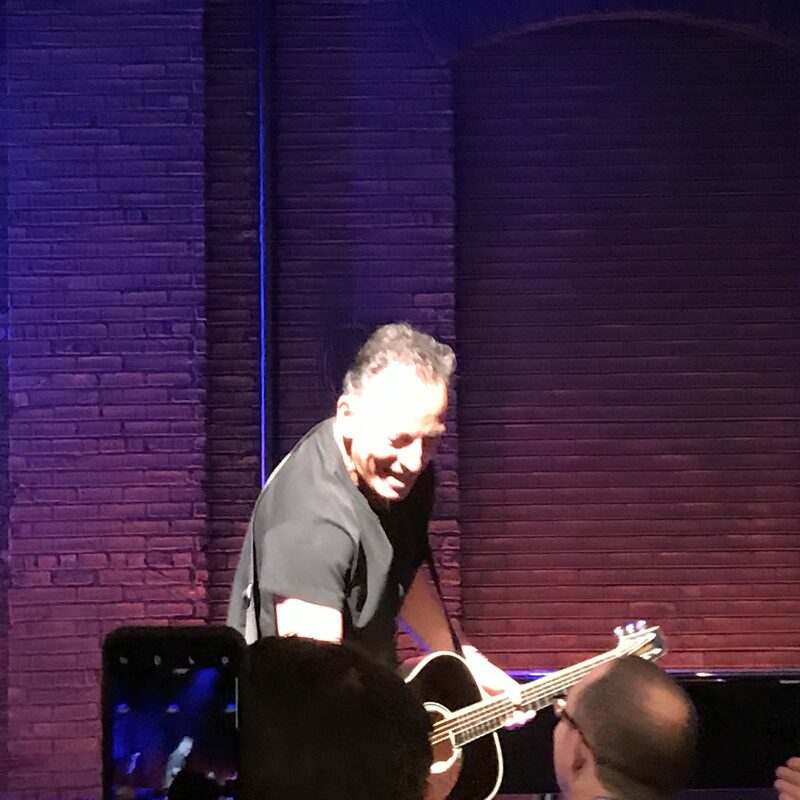 I have a visceral reaction to this talented, poetic genius and there was no place I would rather be than front and center at Springsteen On Broadway. Thanks to my daughter for making dreams come true.